It's been a sewing frenzy in my house. 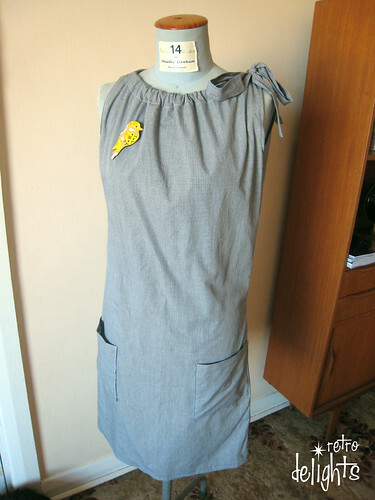 This is my second attempt at sewing a dress using an old 1960s McCalls sewing pattern (see first attempt here). I am so happy we are having some hotter days this week because my new dress is so cool and comfy. I even included a pocket on the front for my iPhone! 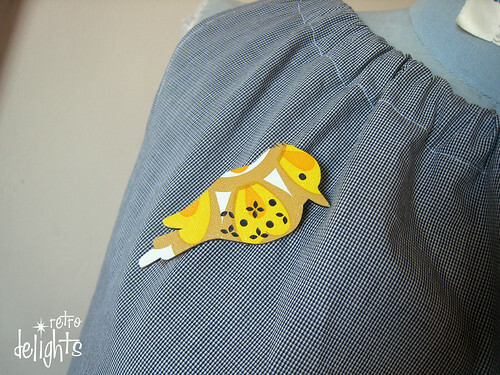 I bought the fabric at an op shop and absolutely loving it with my yellow vintage wallpaper brooch from Delilah devine.